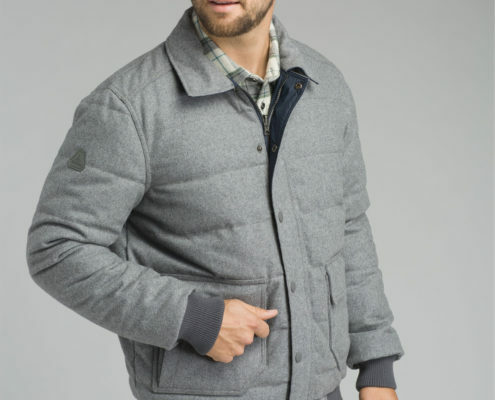 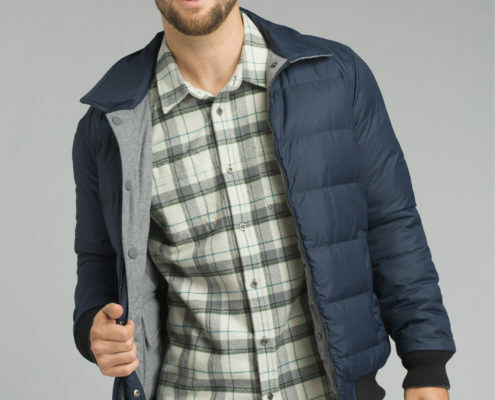 CARLSBAD, CA (November 2018) – For their fall ‘18 men’s outdoor lifestyle collection, the Californian brand prAna introduces the new B-Side Jacket. 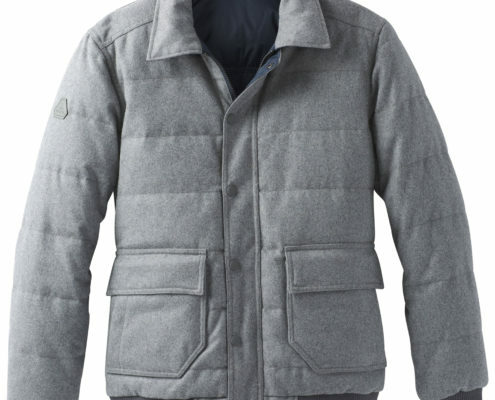 Insulated with RDS certified down, it is the essence of style and versatility. 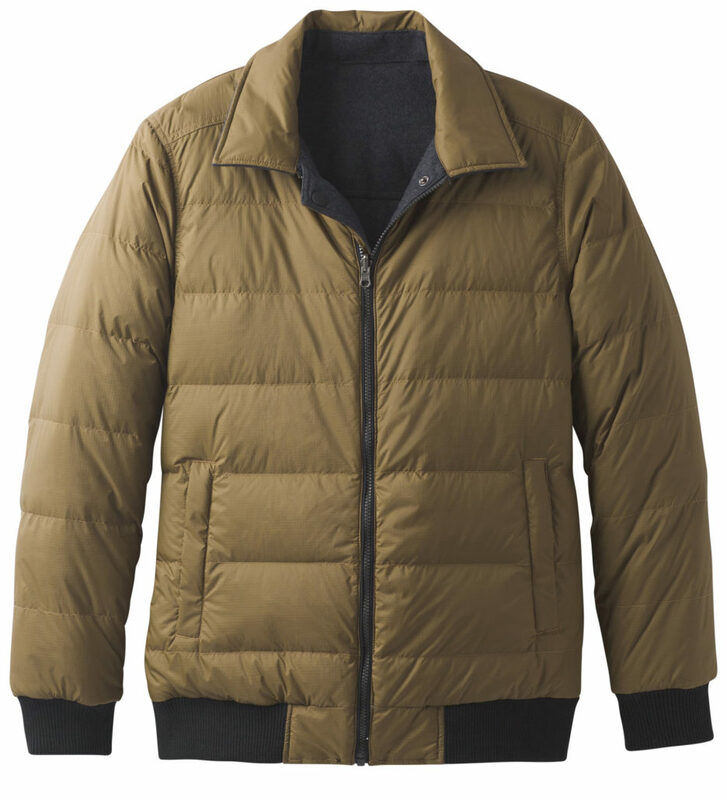 Made from wool and nylon, both recycled, the reversible B-Side Jacket is the ideal winter companion. 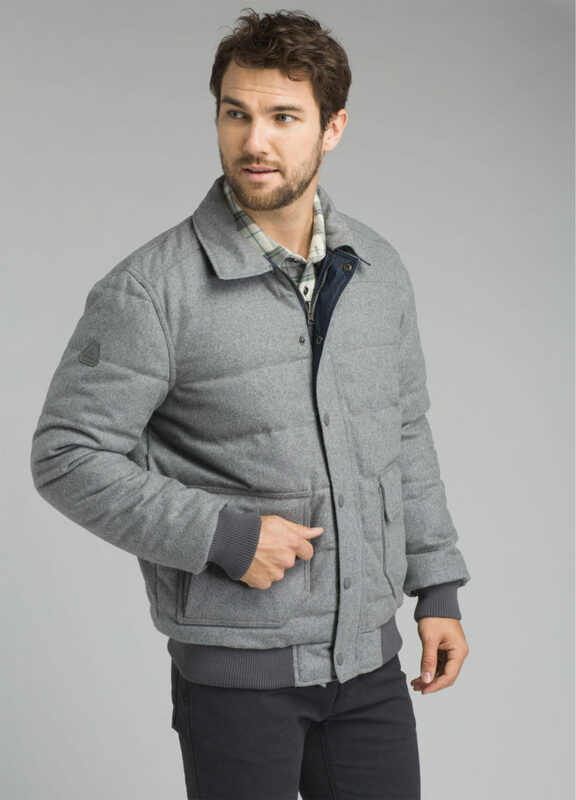 Reversible garments are often designed to be functional, rather than fashionable – not the prAna B-Side Jacket. 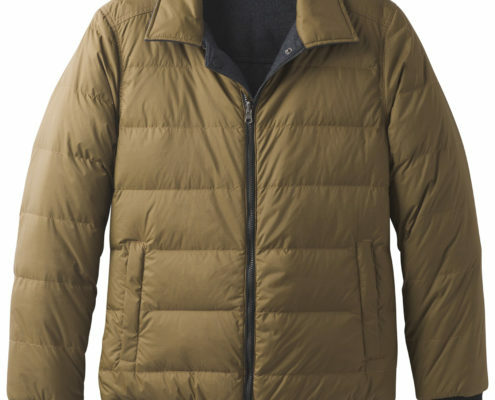 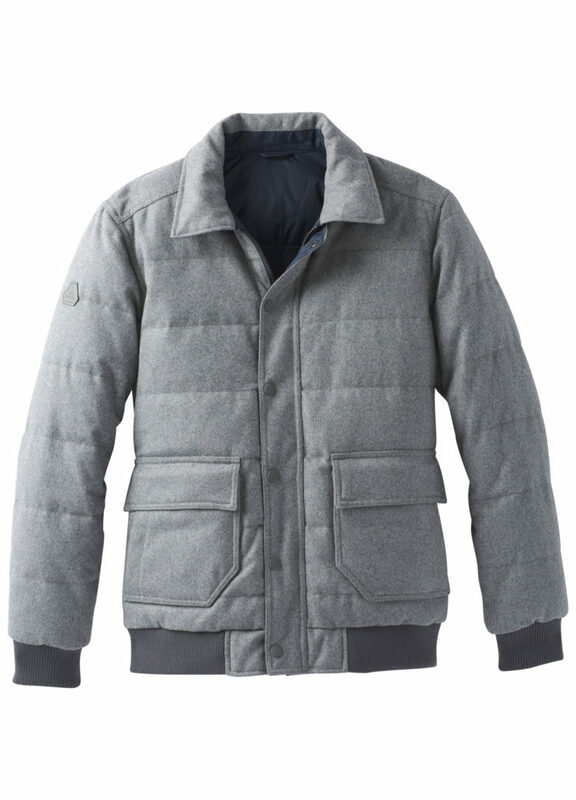 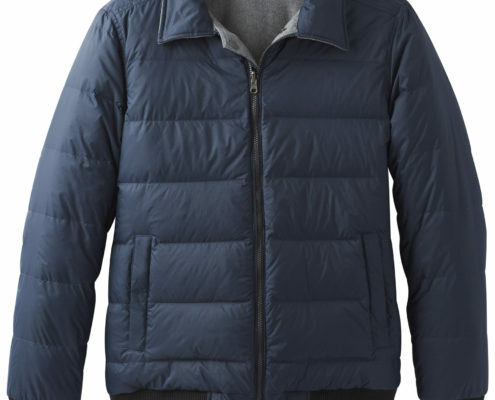 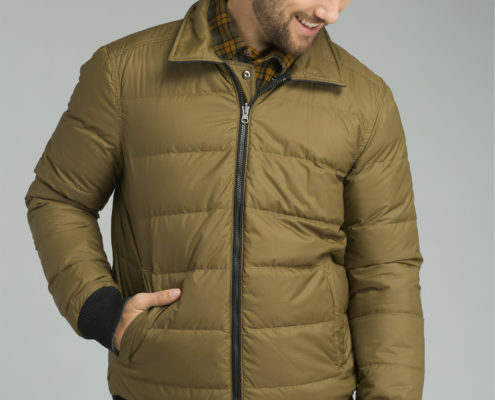 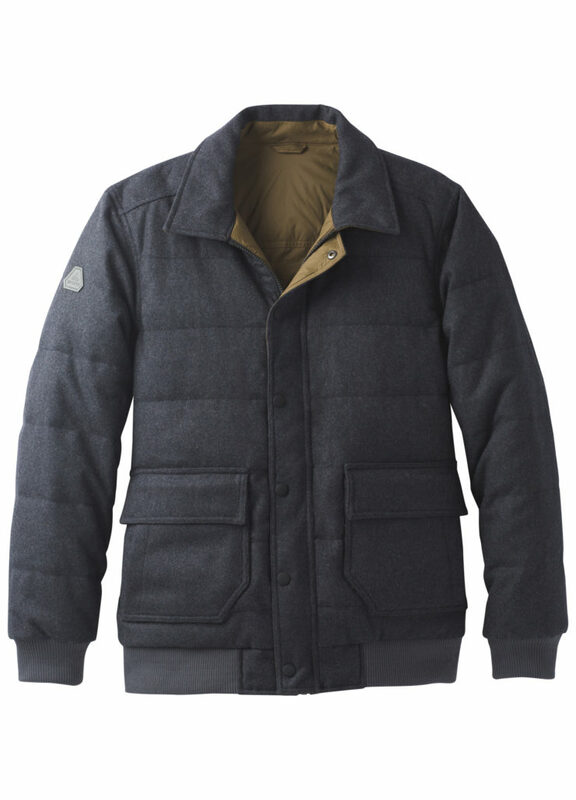 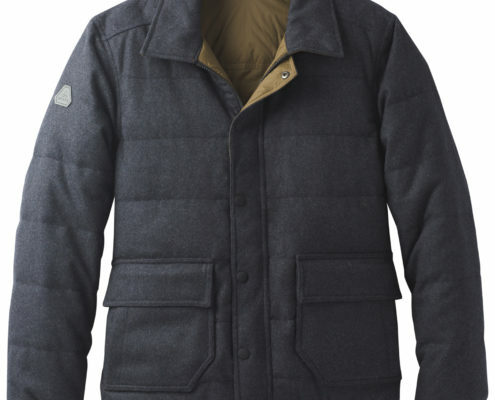 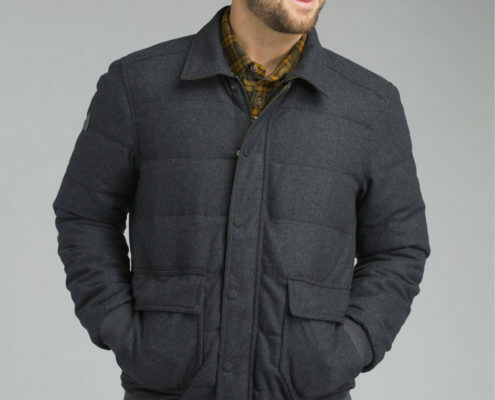 Both sides of the down jacket tell their own design story; the wool side with a casual placket and visible snaps, the nylon side showing a sporty zipper closure. In addition, all used materials score high with their sustainable approach. 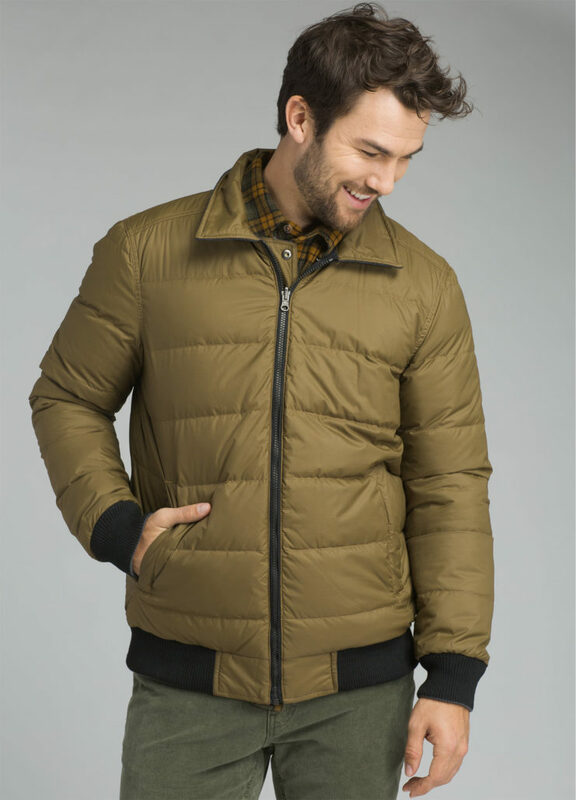 As prAna is committed to eco friendly and ethical production, the down filling is 100% RDS-certified. 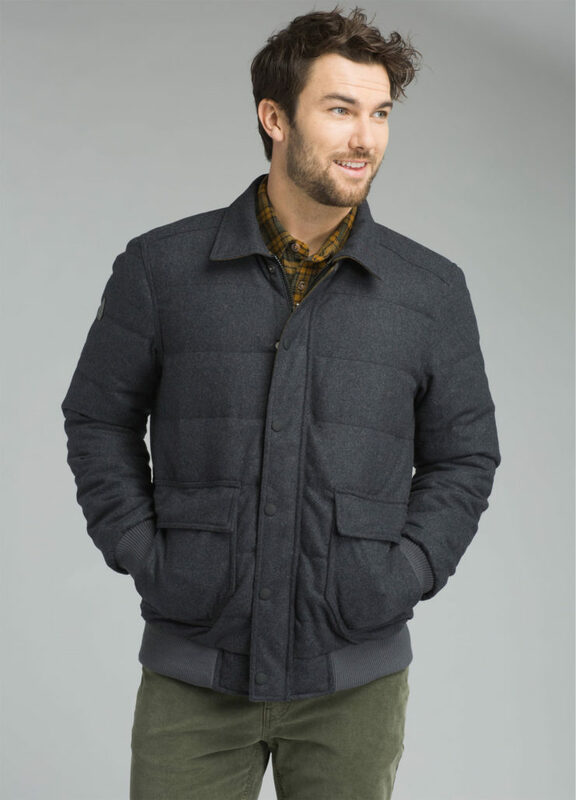 The wool side consists of 60% recycled wool and provides a casual woodsman look. 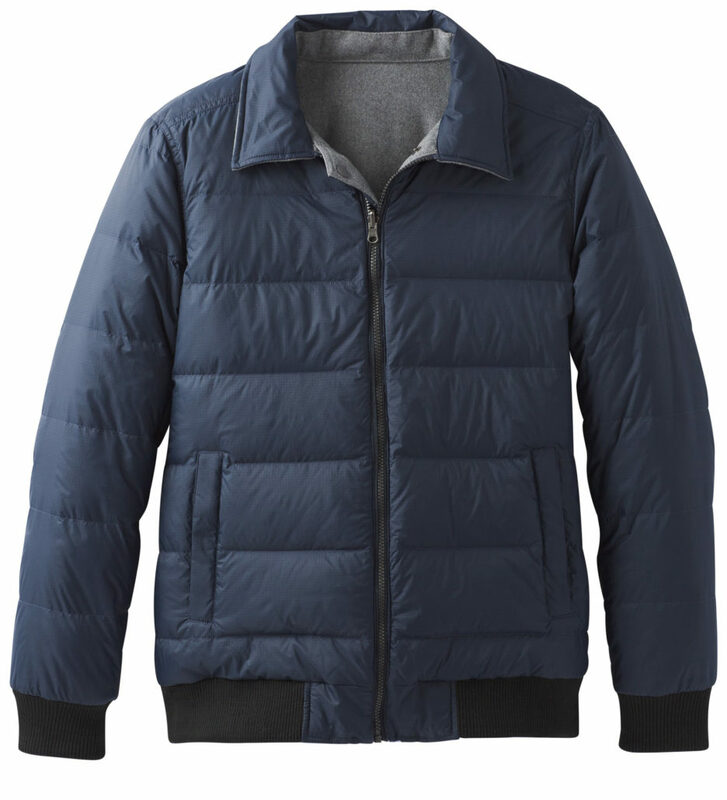 The second side has a more urban and functional style. 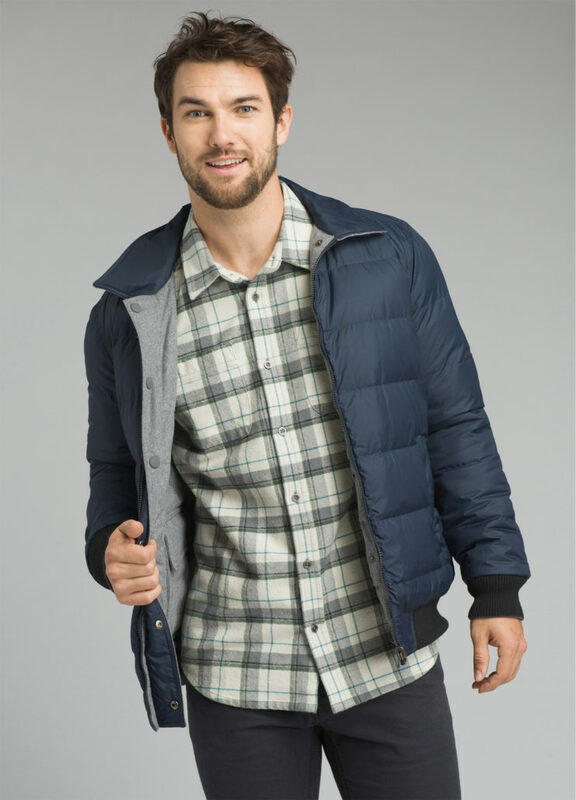 The bluesign®-certified recycled nylon fiber is robust, water repellent and delivers protection when the weather gets rough.